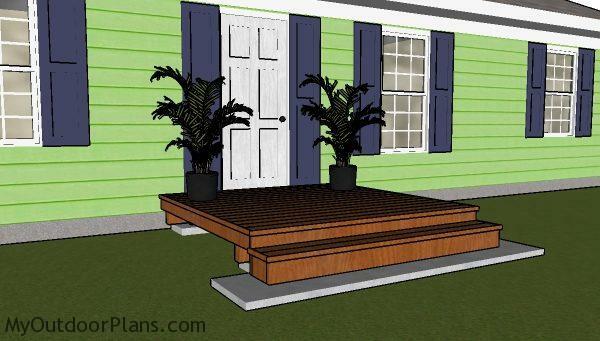 This step by step diy project is about 8×8 deck plans. 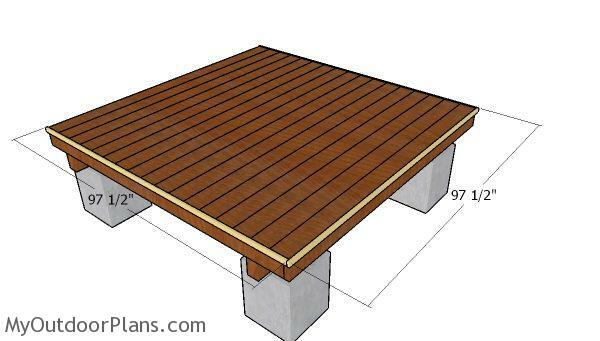 I have designed this simple deck so you can build a nice platform for your entrance. You can adjust the size of the deck to suit your needs. As you will see in this project, this light construction doesn’t require complex tools or carpentry techniques, so any person with basic skills can get the job done in just a weekend. 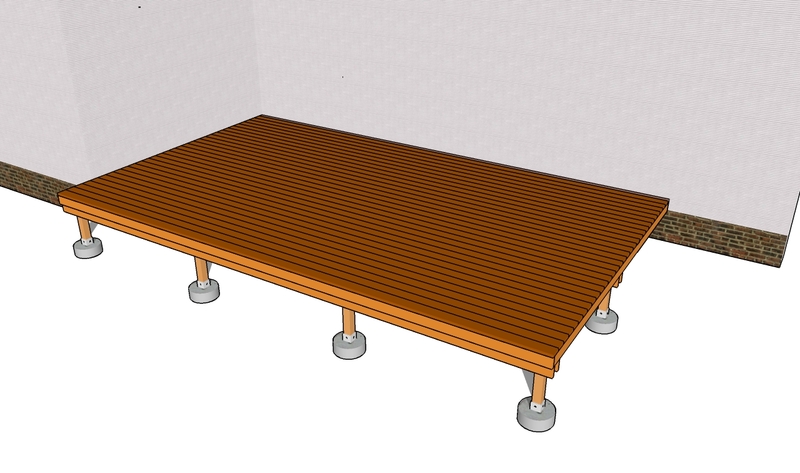 It’s that simple to build a 8×8 deck! The first step of the project is to lay out the concrete footings. In order to get a professional and accurate result, we recommend you to use batter boards and string. Check if the corners are right angles by applying the 3-4-5 rule and make sure the diagonals are equal. Use 1x4s for the forms. Next, pour concrete and fit the metal anchors as in the plans. Use a spirit level to check if the footings are horizontal. Continue the woodworking project by installing the 4×6 beams. 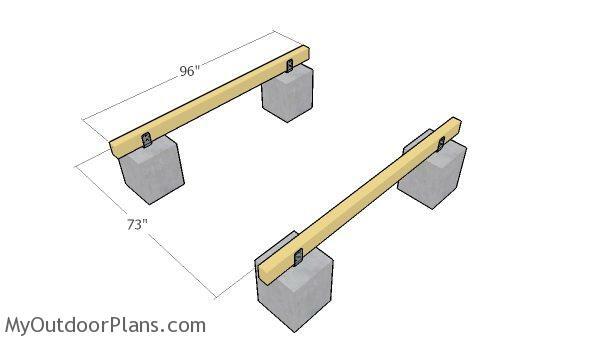 Secure the beams to the metal anchors with appropriate screws, after aligning them at both ends. The next step of the project is to fit the joists. As you can notice in the plans, you should leave 12″ OC between the joists, in order to enhance the rigidity of the frame. 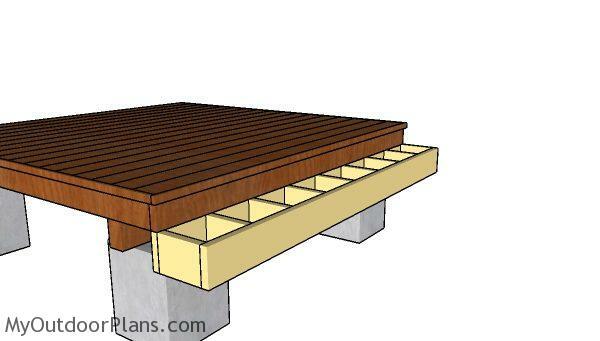 Use joist hangers to secure the joists to the support beams. Next, attach the end joist to the deck frame. Align the edges with attention, drill pilot holes and insert 3 1/2″ screws to lock them into place. 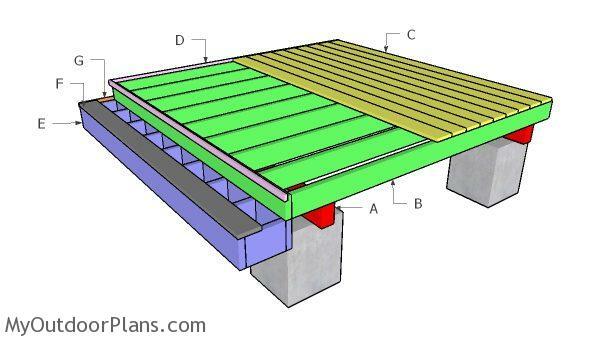 Installing the decking is a straight forward job is the support surface is rigid and perfectly level. Align the boards at both ends before drilling pilot holes and driving in the 2 1/2″ galvanized screws. 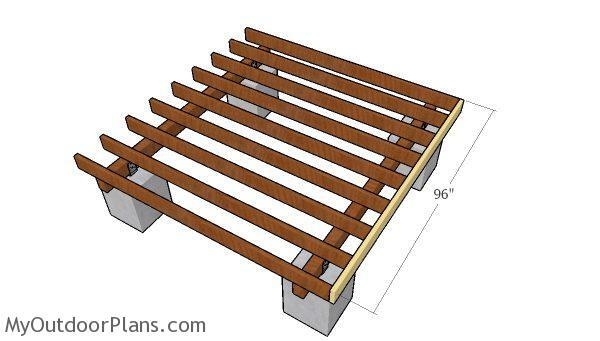 Place a nails between the slats to get consistent gaps. Snap a chalk line before adjusting the boards at the proper size, using a circular saw. 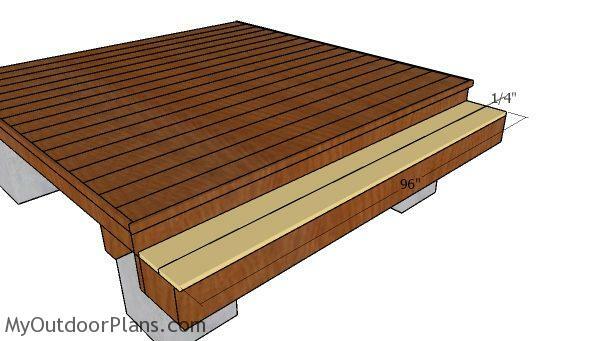 Fitting 1×2 trims to the end of the slats is not compulsory, but it will definitely enhance the look of your deck and hide the cut edges. Add wood glue to the edges and secure them into place. Insert 2 1/2” finishing nails to enhance the bind of the joints. 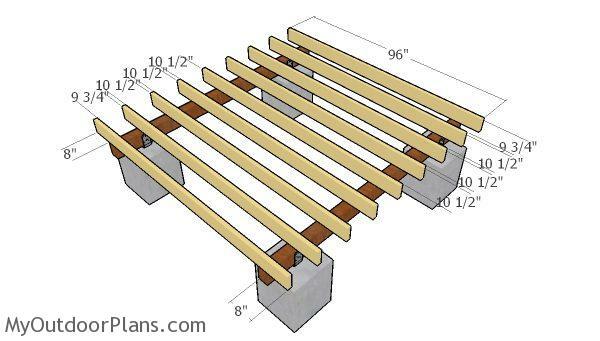 Build the frame for the step from 2×6 lumber. Cut the components at the right dimensions and then lock them together with screws. 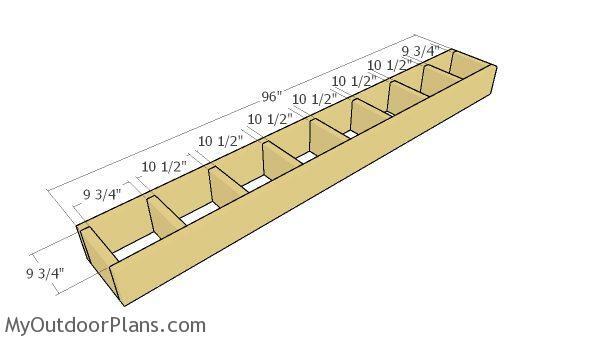 Drill pilot holes through the long joists and insert 3 1/2″ screws into the blockings. 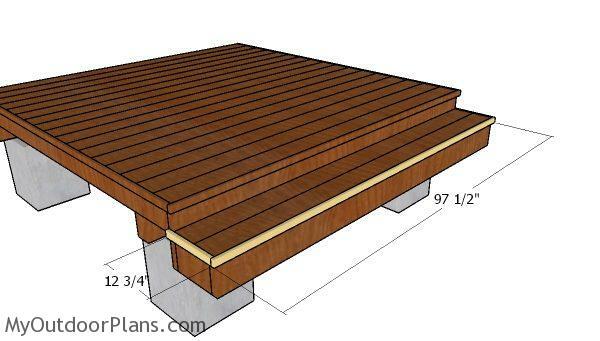 Fit the frame to the deck, as shown in the plans. 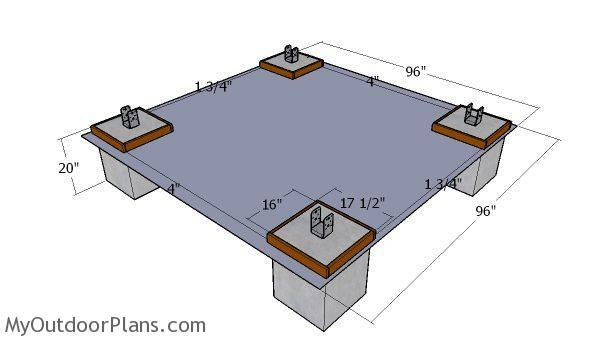 Fit the step frame to a concrete slab. Use metal plate hardware to secure the step to the deck frame. Fit the deck boards to the step frame. 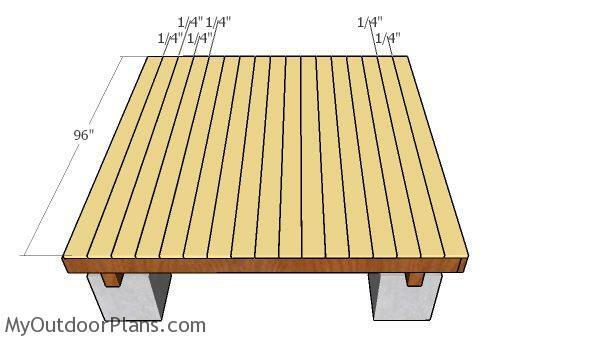 Use 2 1/2″ deck screws to secure the boards, after drilling pilot holes. Fit the 1×2 trims to the deck step. Fill the holes with wood putty and then smooth the surface with 120-220 grit sandpaper. Apply a few coats of stain to protect the components from the elements. You can adjust the size of the deck to suit your needs. 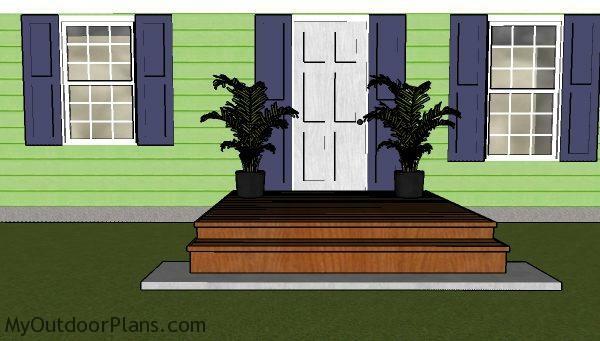 You can add railings, deck planters or other elements. You can add more steps or no step at all, according to the specification of your yard. 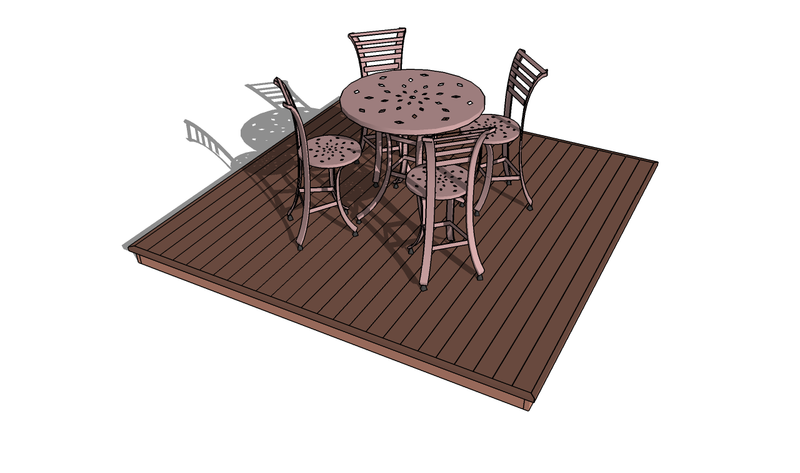 This project was about 8×8 deck plans. If you want to see more outdoor plans, we recommend you to check out the rest of the projects. Don’t forget to share our projects with your friends, by using the social media widgets.